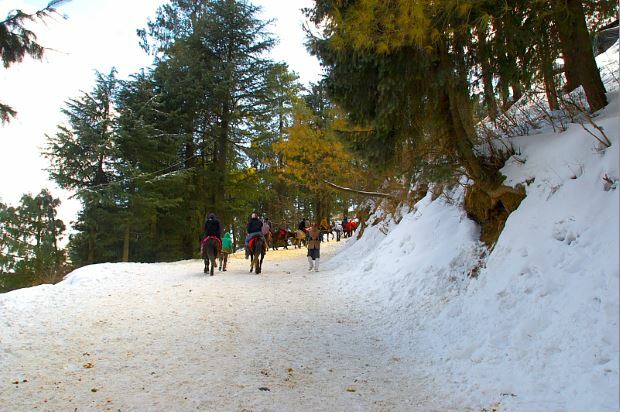 Kufri is the place where snow can be enjoyed in winter if you are at Shimla. 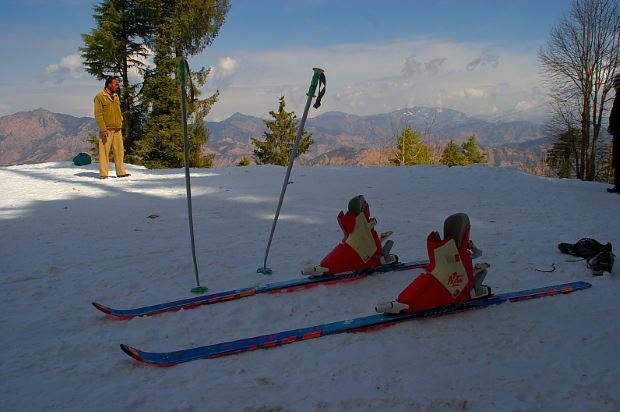 Ski is done here; rates are around Rs 400 for half an hour. 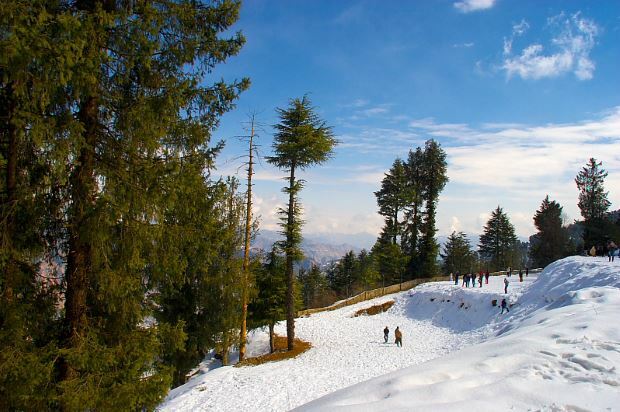 Snow remains here till end of Feb � mid march. 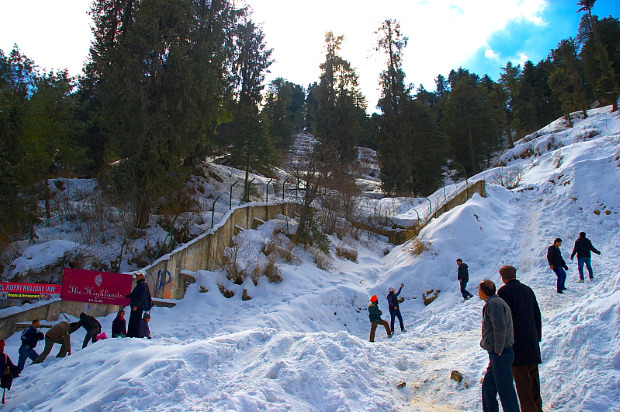 Probably this is the only point in Shimla where more snow for tourist to enjoy is available in winter. 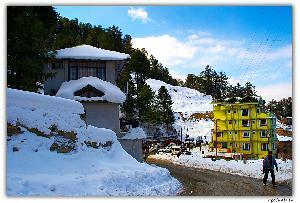 Snow settlements on the hills give spectacular view of the surroundings. duration : one hour 15 minutes minimum required. 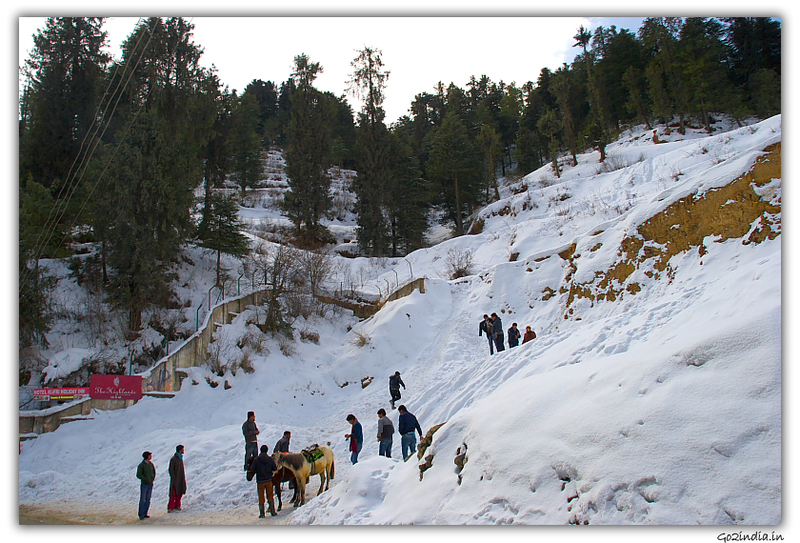 Kufri is best in winter only because of snow . 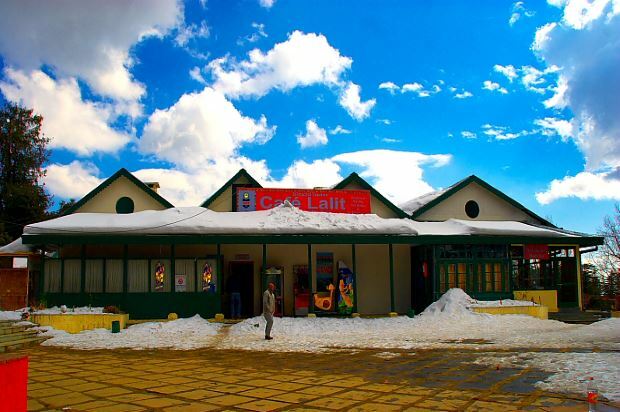 During summer time if you are in Shimla you can ignore this place. There is a Zoo at the top most point. By the side of the zoo there is a children park , entry ticket to park is Rs 5/-. Restaurant and shops are there inside the park selling souvenir , woolen and food items . You can reach the top by your vehicle also, however taxi drivers are reluctant to take you that is because of horse owners union. 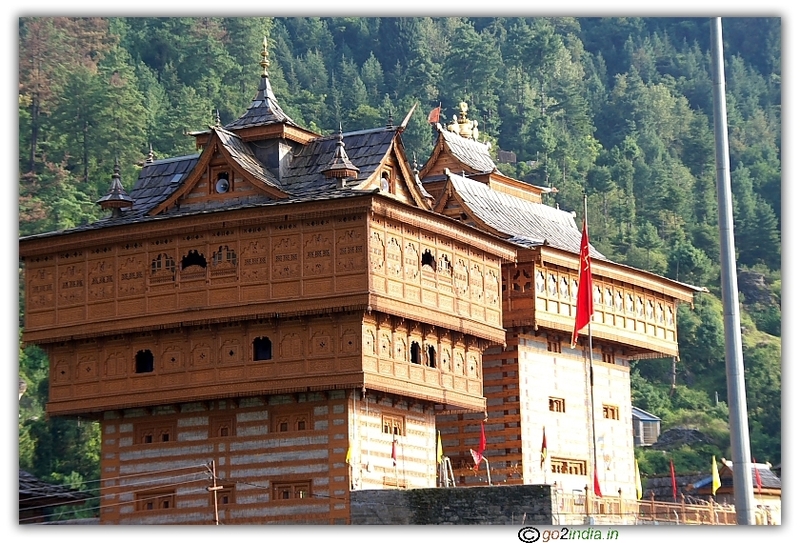 At the top there is a restaurant and shops selling handicraft items. The road passes through Kufri market. 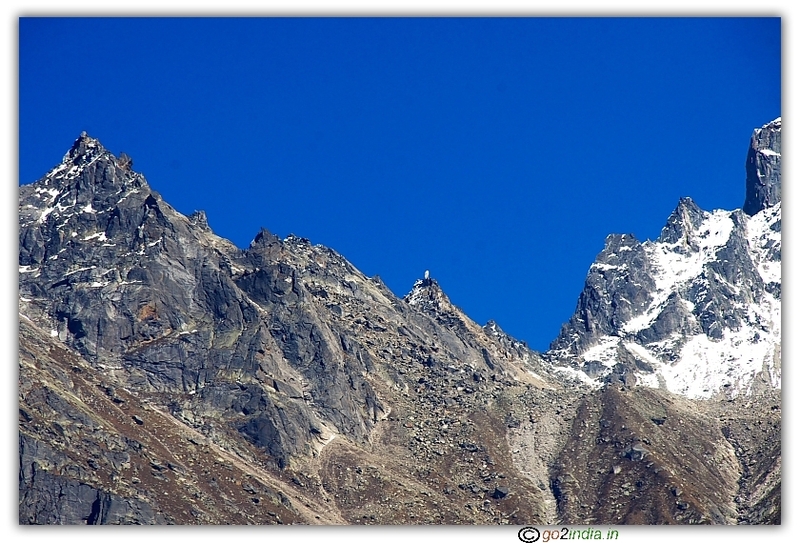 You can walk to the top which will take 25 to 20 minutes. Usually the road became muddy because of horse movement. You should have proper shoes as road became very slippery with snow patches on the road and around the flat areas. Zoo rates are bit higher side. 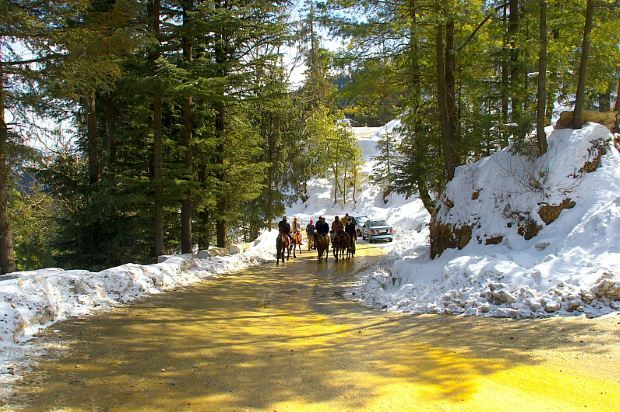 The road beyond Kufri will take you to Chail. 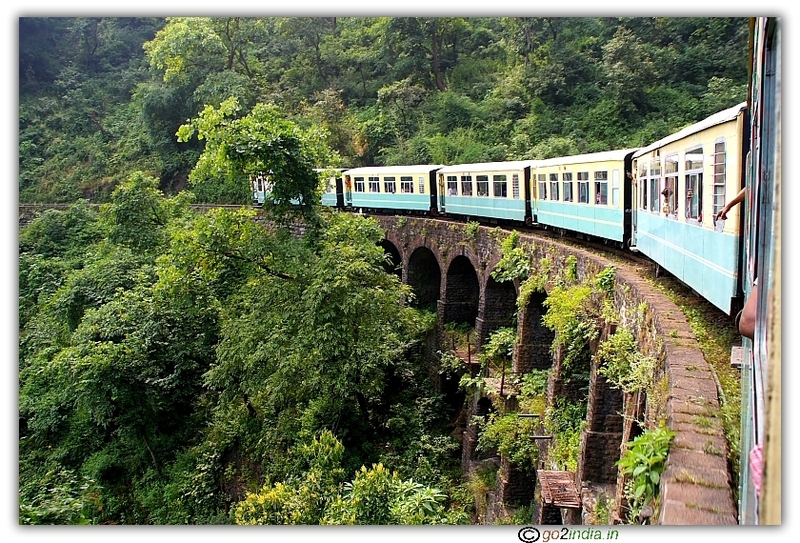 This can be taken in a full day trip of Kufri along with Chial. 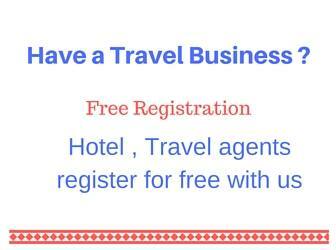 If you are not kin on horse ride then discuss with your tour operator or driver to take you upto the zoo and children park area. You can avoid horse ride if you are not interested. After reaching Kufri because of the hourse owners pressure your driver may reluctant to take you to the top giving various excuses/ reasons.